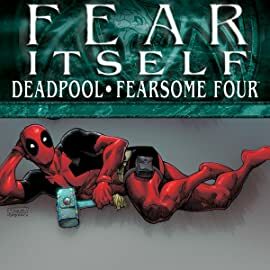 As the Marvel Universe is wracked with FEAR ITSELF, only Deadpool sees it for what it truly is ... a way to make money. 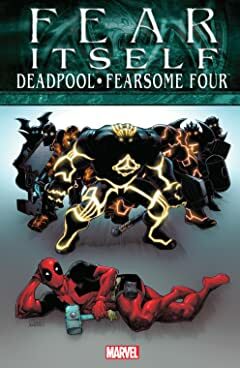 Has Deadpool really been chosen as one of the Worthy, granted one of The Serpent's Hammers? Or did he just take any old hammer and go to town with some rhinestones? Plus: do you fear ... your protectors turning on you? Man-Thing has gone mad as fear consumes the world, and Manhattan will burn. A team of talented artists spotlight the dark side of the Marvel universe, each through the eyes of a fallen hero. Howard the Duck, Nighthawk, Frankenstein, and She-Hulk mutate from hero to monster freaks - and instead of saving the city, the foursome just might end it.